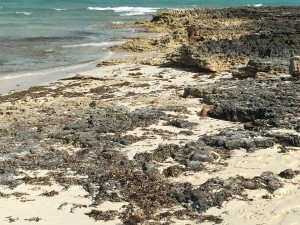 Solving our planet’s climate crisis requires that societies all over earth must evolve from a fossil fuel energy economy to a sustainable one during my lifetime. And for many of the most fragile places on earth and their inhabitants, those most susceptible to rising seas and other risks, the stakes are the difference between survival and extinction. Every citizen of our planet now faces a crisis that has no boarders, one where people’s language, religion or the color of their skin simply, and thankfully, do not matter. For this reason my recent opportunity to address the General Assembly of the United Nations in New York City was a unique and important chance to draw global attention to the fact that we need all of today’s world leaders to begin embracing change. 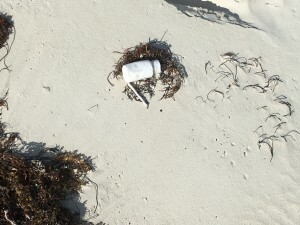 The type of positive change that our world needs to solve our environmental problems before it’s too late. 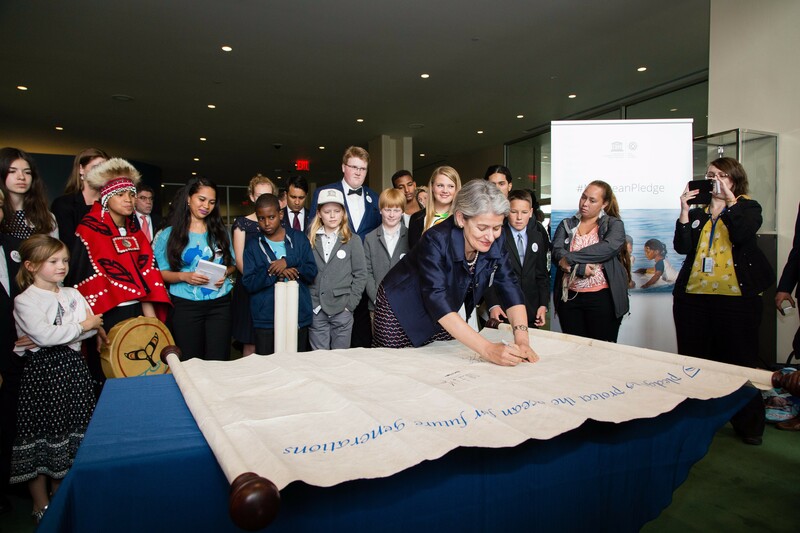 At UNESCO’s invitation, children from all over the world representing their World Heritage Marine sites including some of earth’s most iconic, yet endangered environments, such as Australia’s Great Barrier Reef, Ecuador’s Galapagos Islands and South Florida’s very own Everglades National Park, gathered to ask UN members to join us in pledging their support. 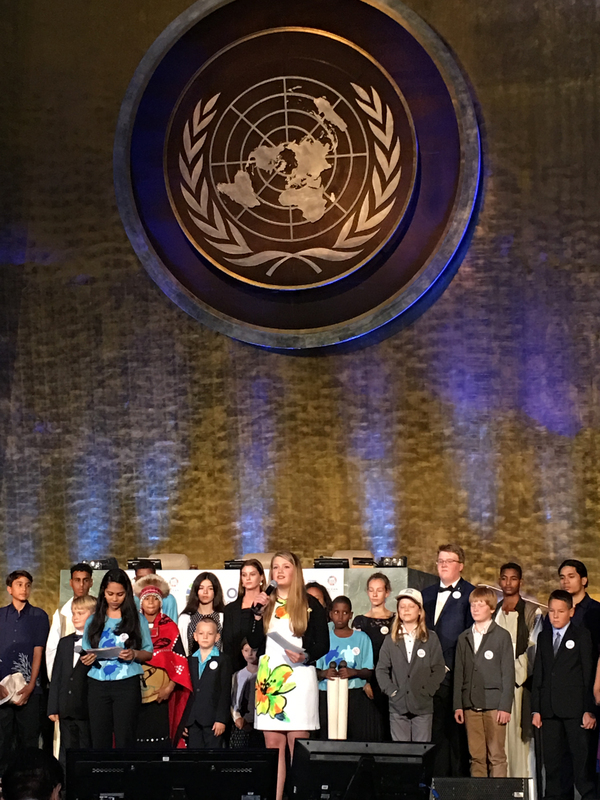 The diversity of the children was profoundly beautiful but even more impressive was the passion that these children have for our planet. 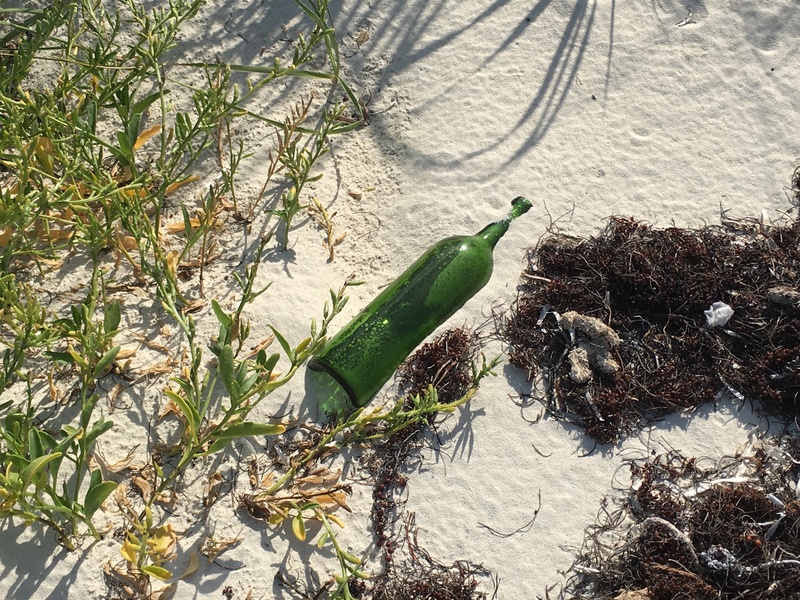 …“in our increasingly virtual world, nothing can compare to the majestic beauty of our natural environment, those special places on our planet that touch our hearts and that inspire our imagination. 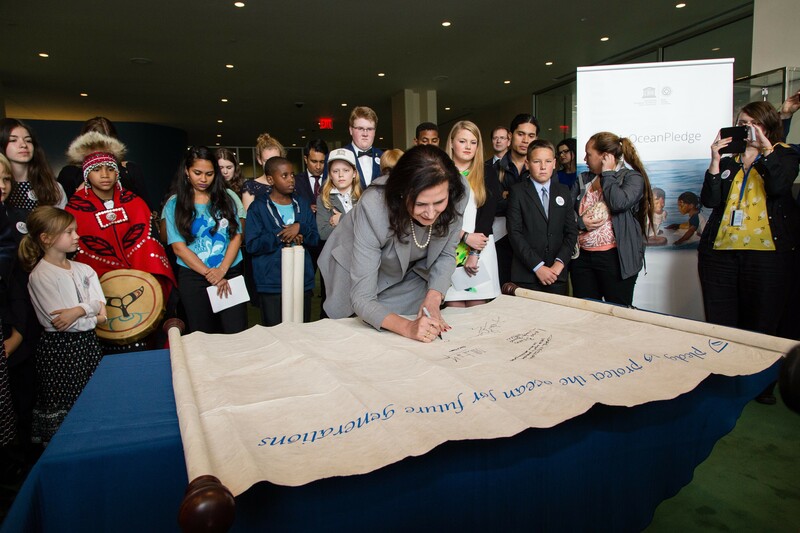 And we called upon the world’s leaders to join us in taking the #MyOceanPledge by signing a petition that recognizes the environment’s importance to our collective futures. 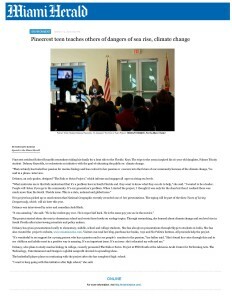 To read more about the petition and why having the world’s leaders join us is so important to all of our futures please click here for Andres Oppenheimer’s timely editorial in yesterday’s Miami Herald entitled World May Not Melt, Despite Trump’s Insane Decision on Climate Change. And speaking of Prince Albert II, here is a picture of my brother Owen and me, along with our friend Sarah Ramos, with the Prince of Monaco just after he signed the petition Mr. Oppenheimer wrote about, #MyOceanPledge. As you can see, he sure does not look too stressed about President Trump’s lack of vision or recent decision.During what was an incredible week in New York I had the privilege to get to know children from Papahanamokuakea, Hawaii; Lord Howe Island, Australia; Seychelles; South Africa; Sudan; the Great Barrier Reef, Australia; and the Wadden Sea, Netherlands among other World Heritage Marine sites. 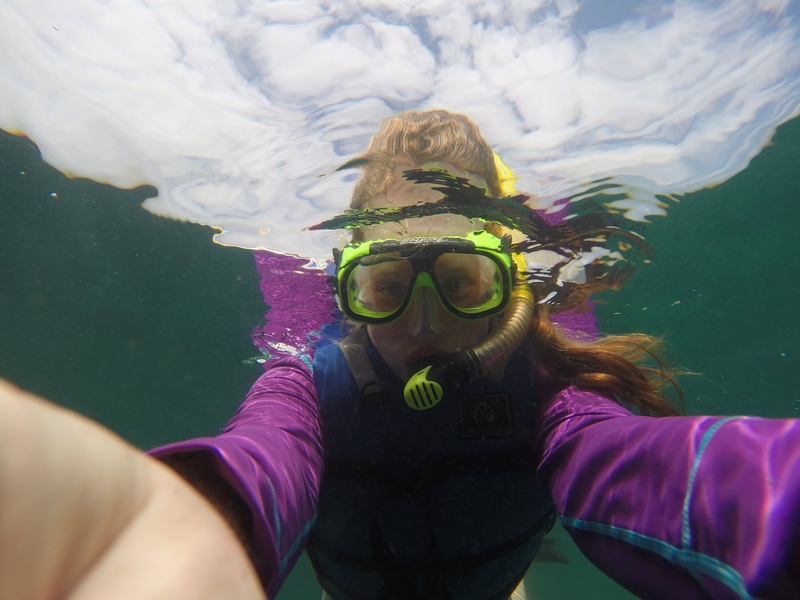 And no matter which amazing place these children live in we all shared the same undeniable bond; a deep love of the ocean and our natural environment. And speaking of amazing places, the Everglades National Park is the only environment of its type on earth. 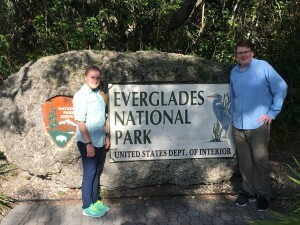 The Everglades is a treasure chest filled with magical, mystical creatures unique to its enchanting and diverse environment, from its mangrove lined coasts and sandy beaches along our ocean’s shore to its majestic pineland forest and slow moving River of Grass. 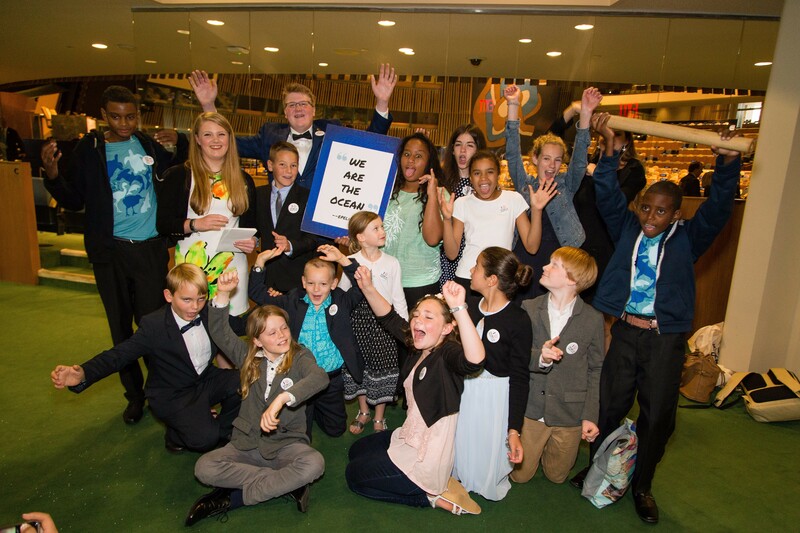 And it’s a big part of why I was invited to address the General Assembly. 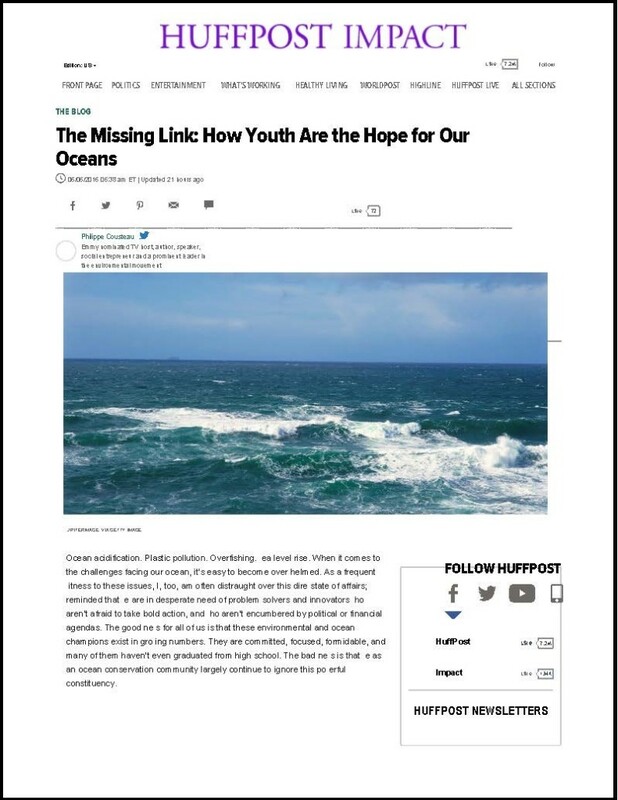 While working on my book on sea level rise, Sink or Swim?, I had the pleasure of meeting and interviewing Everglades National Park Superintendent Ramos last year about the fragility and importance of this special place. Superintendent Ramos was generous with his time and shared a passion for the Park that left me feeling like the Park is in very good hands with a very good man. 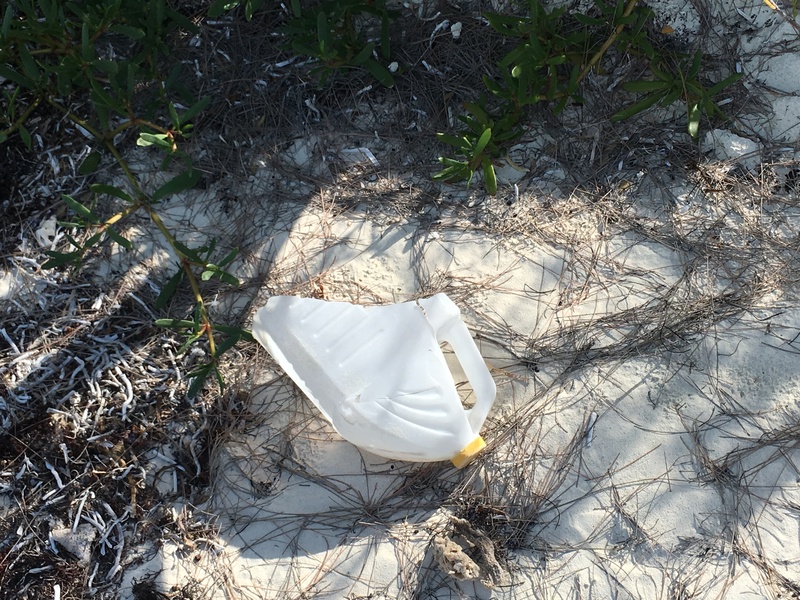 Unfortunately, the Everglades is also at dire risk from all sorts of threats including encroaching development, agricultural pollution and run-off, rising seas and more. Sadly sea level rise alone threatens a large portion of the Park from possibly becoming extinct within my lifetime. 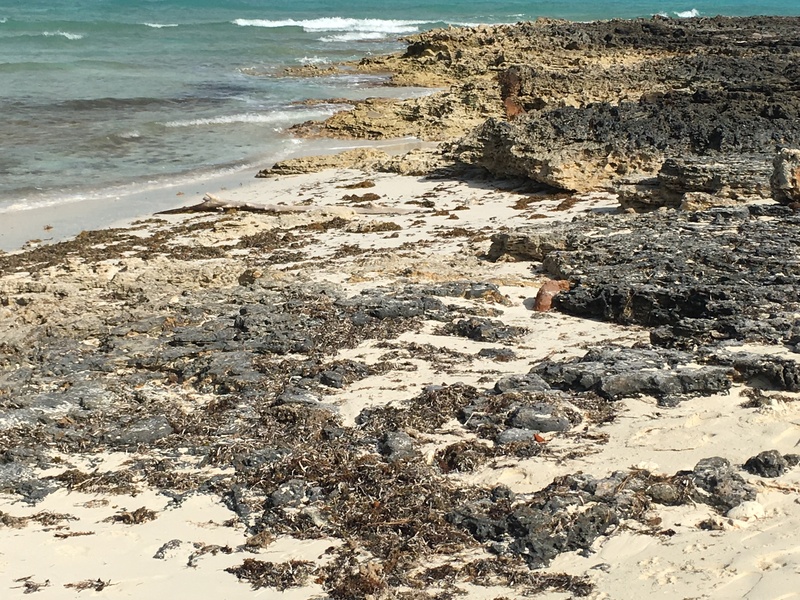 As I said, it’s also one of UNESCO’s World Heritage Marine sites but its also a World Heritage in Danger site too given the many risks it faces to even have a future. The folks at UNESCO in Paris saw a TEDx Talk I’d given a couple of years ago and, thus, invited me to address the General Assembly and have the honor of representing the Park and our region. 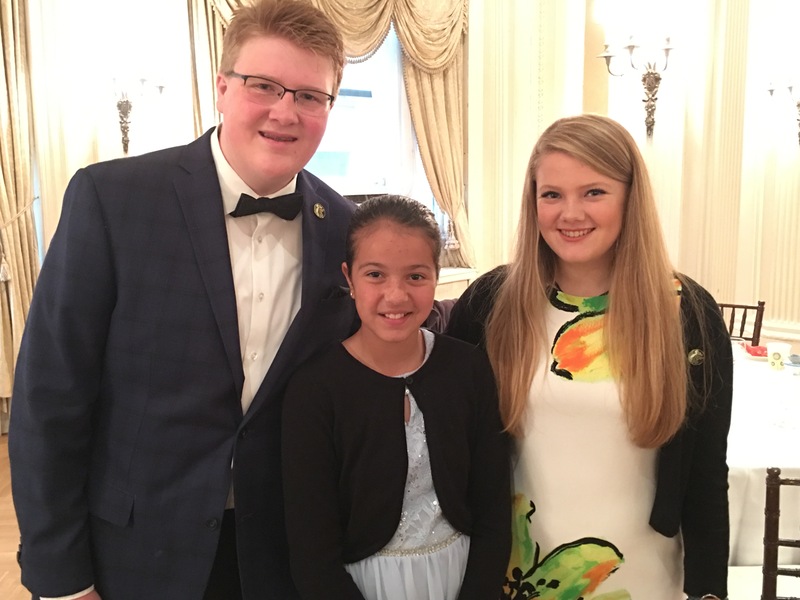 And, if that was not enough, I was even able to be joined on stage by my brother, Owen, and our friend, Sarah. I have countless memories to share with you in future blogs about the outstanding children that joined me in New York, the time that we spent with people like Sylvia (‘Her Deepness’) Earle at The Explorers Club (only one of the coolest places you could ever hope to visit) and the truly exceptional people at UNESCO. I promise to share stories and pictures about all of those things and a lot more in time but, before I end this blog, allow me thank a few special people who were the reason I was honored to be asked to address the General Assembly. 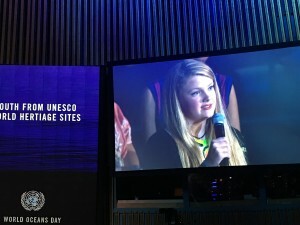 Thanks to UNESCO, The Explorers Club, the Government of Flanders, Stefan and Irina Hearst, The Khaled bin Sultan Living Oceans Foundation, Dr. Fanny Douvere, Robbert Casier, Vanessa Lucot, Nolwazi Mjwara, Taylor Butz from the UNESCO World Heritage Center, Alison Barrat and Elizabeth Rauer from the Living Ocean Foundation, and Joel Sheakoski (for your amazing pictures).To each of you, thank you from the bottom of my heart for the work you do literally all over the world every day to protect some of the most important places on earth. 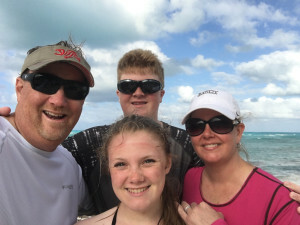 Thanks to Mom and Dad for facilitating the trip for Owen and me, much less introducing me to New York for the first time. I know that the entire experience was a bit overwhelming so thanks for not crying too much while we were on stage! Thanks to my #1, my not so little, little brother Owen. Thanks for standing outside the theaters with me to get autographs in the rain but mostly, thanks for standing on stage with me in front of the world and for always supporting my passions and dreams. And lastly, allow me to give a special shout out and thanks to the incomparable and ever so kind Pedro Ramos and his lovely daughter, Sarah. Pedro, it is my distinct honor to know you and to know that such a perfect steward of the environment is helping protect the Everglades. Its habitats, animals and I could never thank you enough. OK, its time to get back to work on local solutions. Despite the circus that’s in Washington right now all of us have important work to do in our local communities, the regions and towns we live in, and in our states. If you’ve read this far then I would ask you to start local, stay local and find ways to make a positive change in your community. That’s my plan and I hope it’s yours too. 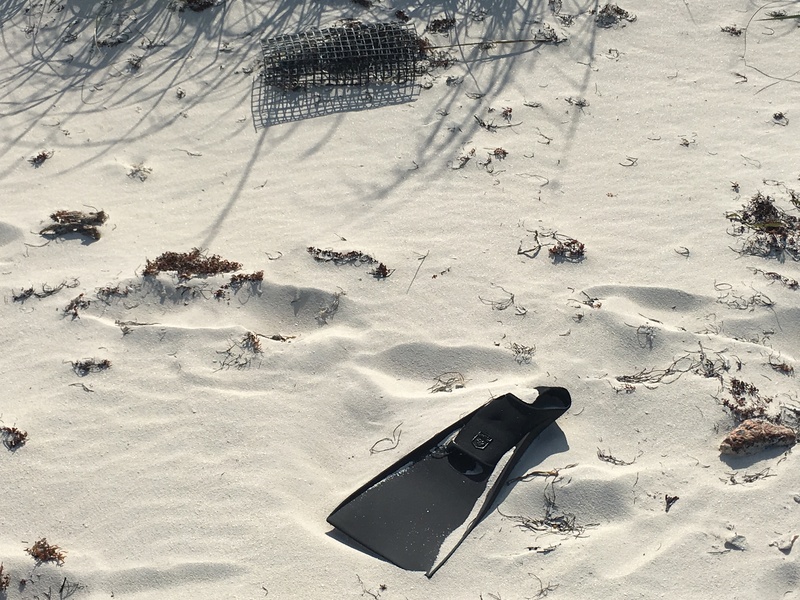 Some friends of mine just celebrated graduation by going to Bimini, Bahamas and that reminds me of a trip I took over Spring Break to the Abaco Islands. 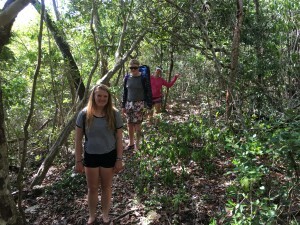 A local fishing guide suggested that my family and I hike through a gumbo limbo forest along what seemed like a secret path through the jungle above a cliff overlooking the ocean until we came upon a private, secret beach. A beach with the most beautiful sand, the most incredible colored water, and coral reef you have ever seen. 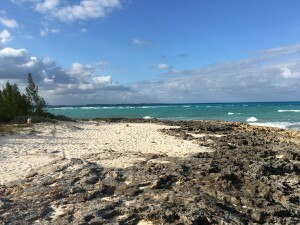 The coral reef was amazing in that you could just step off the sand, into the ocean, and swim out a few yards into another world filled with a kaleidoscope of color, fish, sponges, sea fans, and beauty. 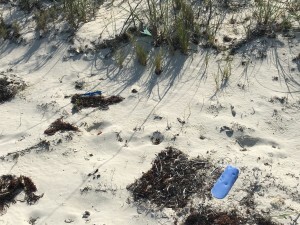 But, as pristine as that beach was, and as secluded as it was in that we did not see another person the entire day we spent there, that beach was evidence of a growing environmental disaster that our planet, its oceans, and the creatures living within it face: man-made plastic pollution. 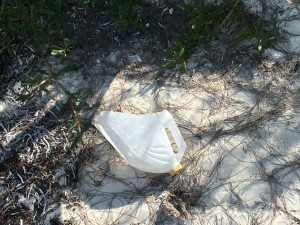 The pictures below are all from that same beach and I should share with you that it wasn’t hard to find plastic. 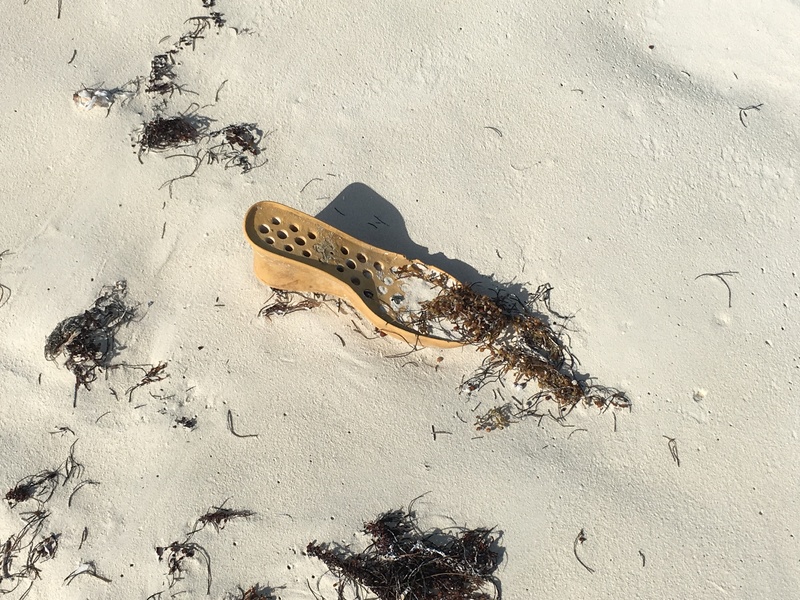 It was everywhere of every size and shape and it was related to everything that you could imagine; from food products to clothing to marine uses to household goods, you name it. 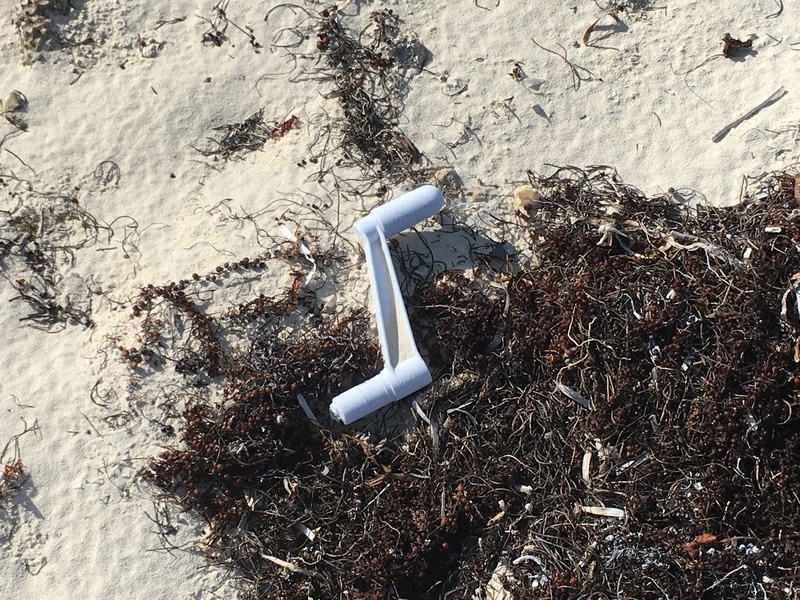 It was like walking through a department store and finding a who’s who or a what’s what of things that you and I could buy everyday but that end up in our oceans and on our beaches. 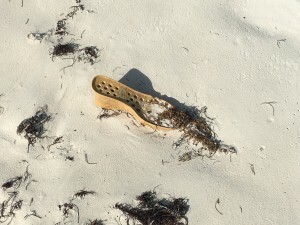 The worst part, perhaps, is that these types of things not only end up on the sand but they all too often end up being eaten by or entwined around one harmless sea creature after another. Not a few, but probably a few million all over our planet and that needs to stop. Plastic debris causes the death of more than a million seabirds every year, as well as more than 100,000 marine mammals. 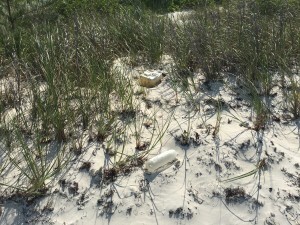 Seven of the EU States, Norway, and Switzerland recover over 80% of their used plastics. That’s the good news. The bad news is the rest of the world remains a serious issue and has limited to no strategy in place at this time. 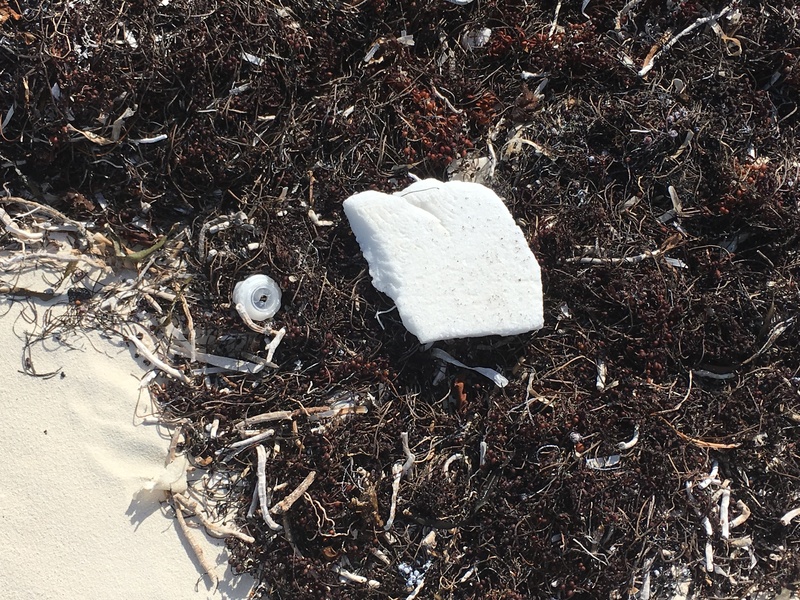 Plastics and other forms of litter often concentrate in our oceans and are drawn together by the ocean’s current into what are called gyres. 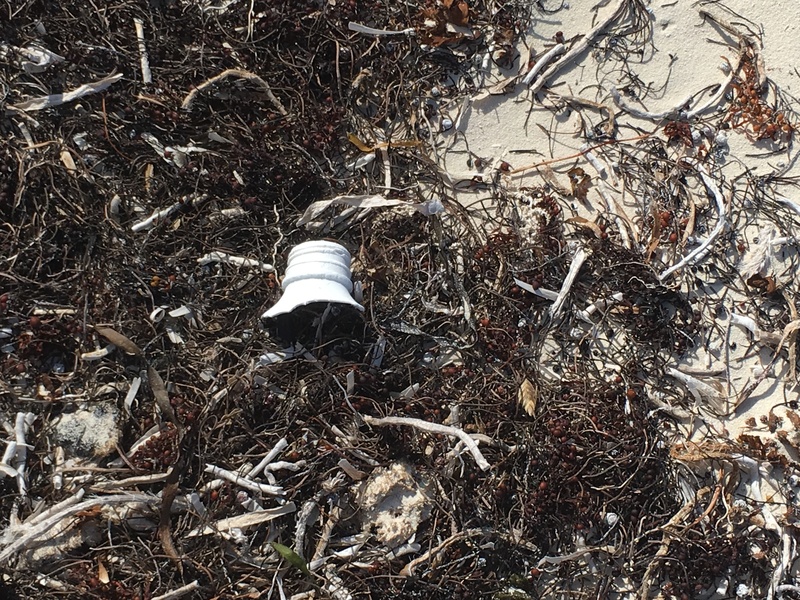 There are five gyres in our world’s oceans now. 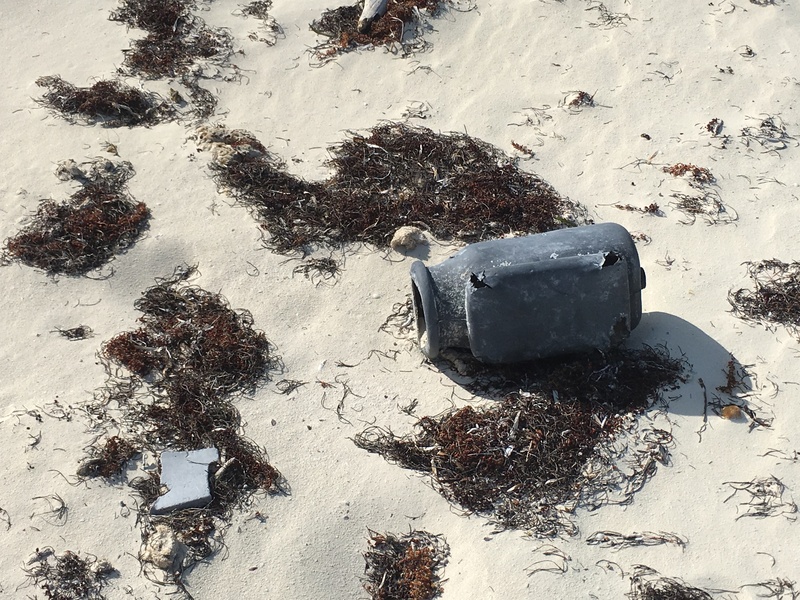 The North Pacific Gyre is the biggest one, also known as the Great Pacific Garbage Patch, and is about two times as big as the state of Texas. 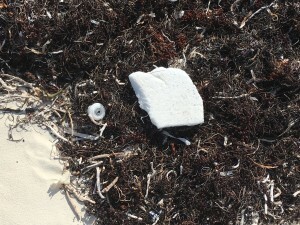 Currents in the North Pacific Ocean gather litter from North America, Japan, and other areas in the region before bringing them together in the “Garbage” patch. 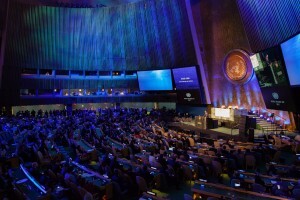 Stay tuned for more news about the United Nations and UNESCO’s incredible work (including about The Ocean Conference taking place at the United Nations in New York from June 5th through June 9th and World Oceans Day on June 8th) both here and through my social media channels and until then, please think of ways to keep our plastic products out of our oceans and off of our beautiful beaches. 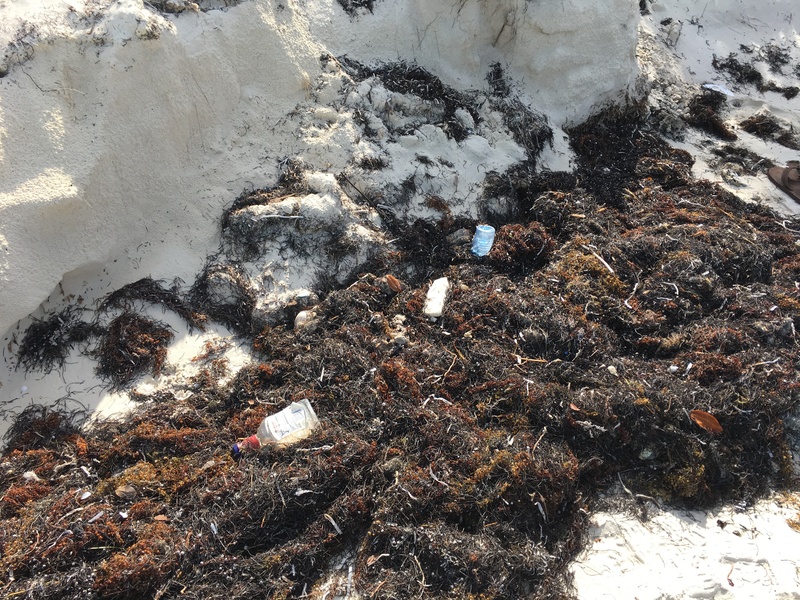 Our oceans cannot protect themselves from mankind’s modern living, that’s up to each of us in our homes, on our boats, or while enjoying a day at the beach. P.S. 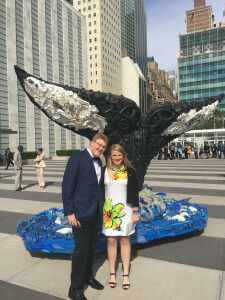 Over the last 24 hours, since the President’s announcement that he has decided to remove the United States from the Paris Pact, many people have asked me what I think and what we should do. My answers include staying calm and embracing hope. The solution to our climate change crisis, in my view, begins on the local level, in the cities and towns all across America and in our States, not so much in Washington but all over America. Implementing local laws will begin to solve the problem and if anyone needed any motivation, then the farce of an announcement should certainly serve as motivation to take to the streets, to visit your local city council, your mayors, your state capital, and demand change. That should be our focus for the next three and a half years until we elect a president with vision for a sustainable future. 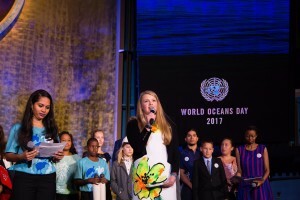 My name is Delaney Reynolds and I am a college student at the University of Miami's Rosensteil School of Marine and Atmospheric Science in Miami, Florida and founder of The Sink or Swim Project (miamisearise.com). I split my time between this vibrant, cosmopolitan area of nearly three million people and my second home on No Name Key, a 1,000 acre island filled with nature and 43 solar powered homes in the Florida Keys. 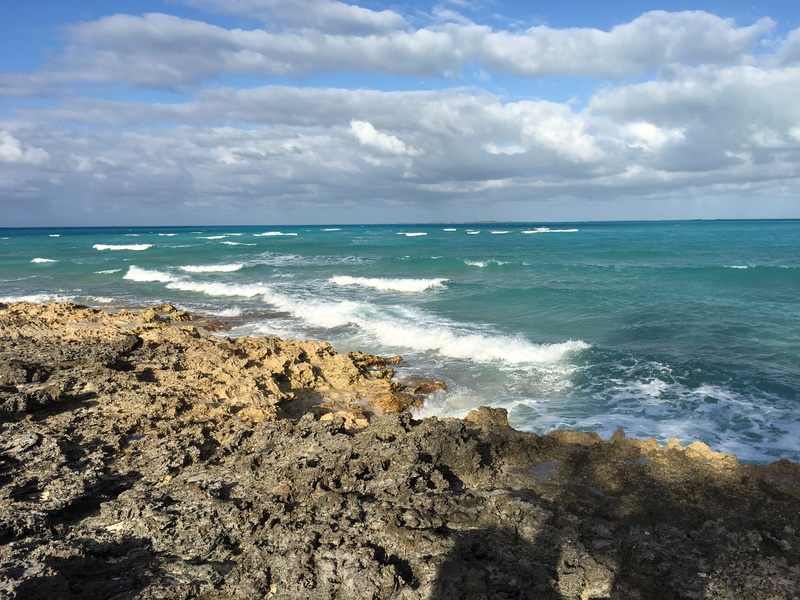 My life is surrounded by water and that is how I became interested in global warming and the threat of sea level rise to our future. 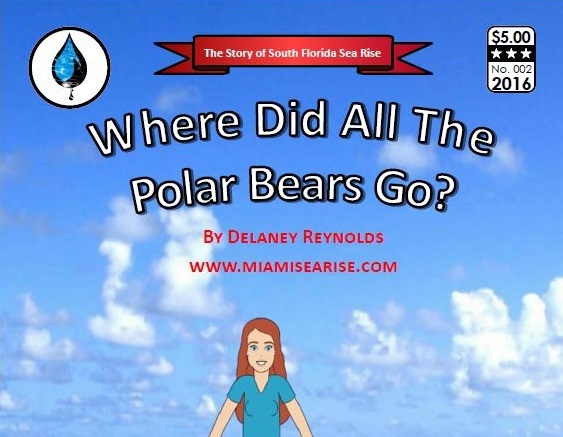 In addition to being a full-time student, I am also a published author and illustrator of three children’s books on ecological topics related to the wonders of No Name Key, as well as a comic adventure book about global warming entitled Where Did All of the Polar Bears Go?, and I am currently writing a book for young adults about sea level rise in South Florida. I am pleased to welcome you to our website and I look forward to working with you. 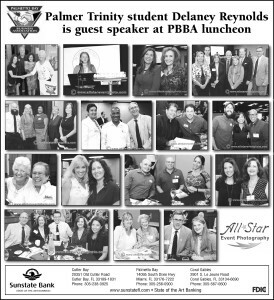 If you have any inquiries, you can contact me by email at delaney@miamisearise.com or by phone at (786) 671-2061. In addition to being a full time student I am also a published author. 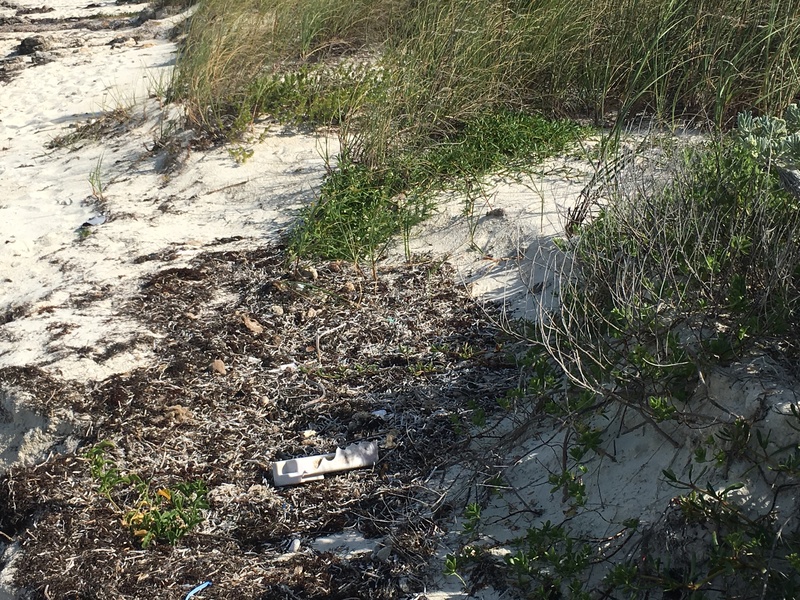 I have written and illustrated four children’s books on ecological topics related to the wonders of No Name Key in the Florida Keys. My first book, My Animal Friends on No Name Key, was completed in 2009 when I was nine years old. 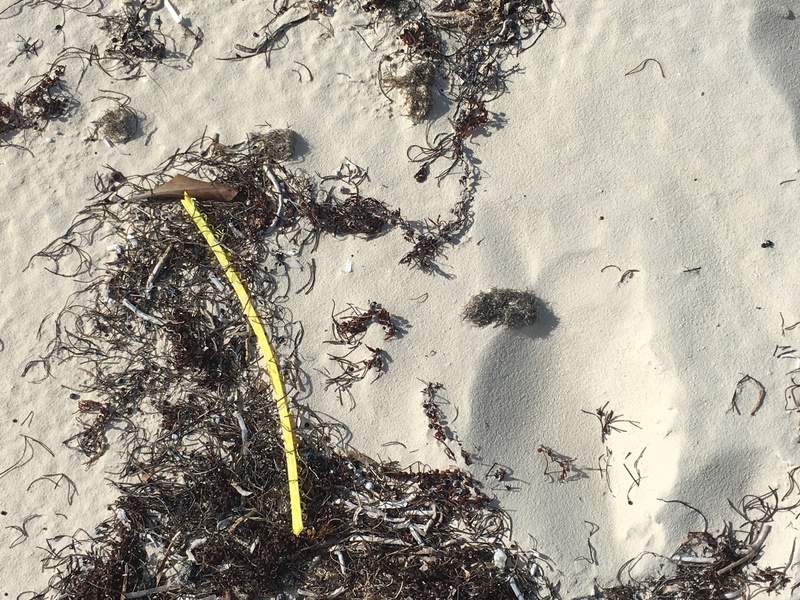 My second book was published while I was in sixth grade and is entitled My Fish Friends Near No Name Key and my third, My Flying Friends of No Name Key, was completed in 2013 while I was in 8th grade. My most recent one is an adventure comic book entitled Where Did All The Polar Bears Go? and it was published in 2015. 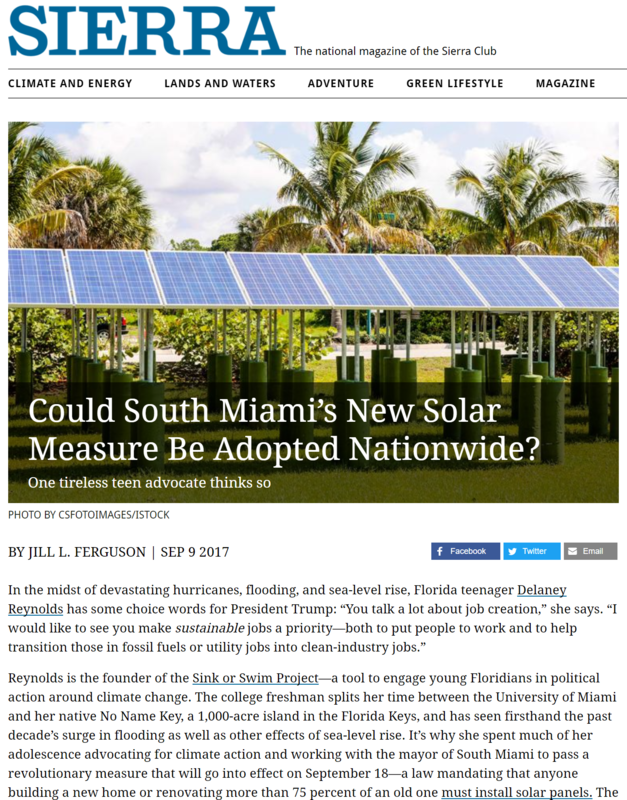 I am currently working on a new book geared towards young adults that is tentatively titled Sink or Swim and that focuses on educating my generation about the very real impact of sea level rise is already having on South Florida as well as what we will need to do when we inherit this growing problem. 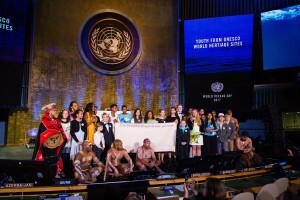 I believe that part of the reason for the lack of progress on many ocean issues is because the conservation community has made the mistake of dismissing this dedication and passion as youthful enthusiasm—of assuming that youth are merely the hands and feet of the environmental movement when they have the capacity to be the hearts and minds as well. 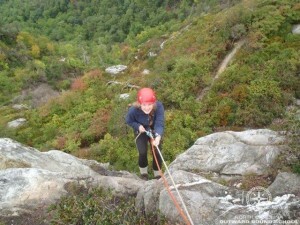 Take high school junior Delaney Reynolds, for example. 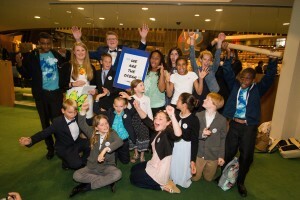 She is a published author and illustrator of three children’s books, as well as a comic book on environmental and ecology topics. 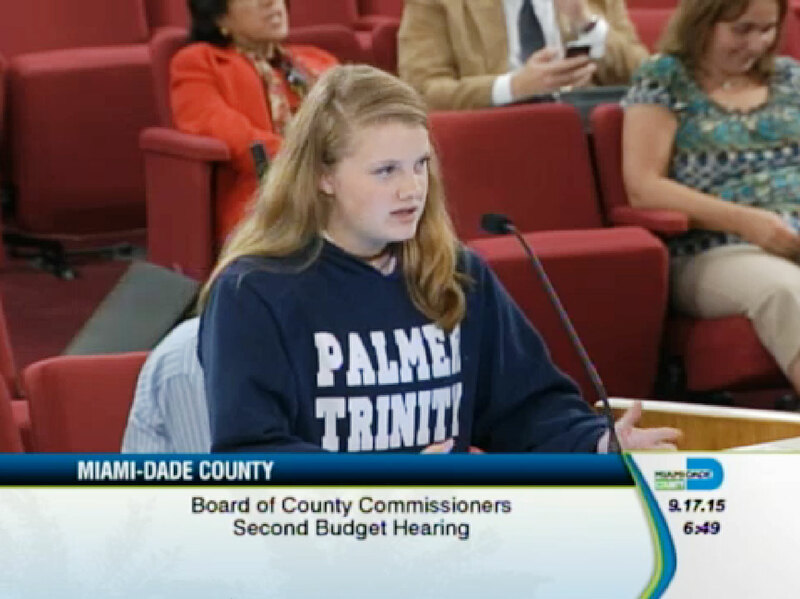 Delaney Reynolds is the founder of The Sink or Swim Project and currently attends High School in Miami. 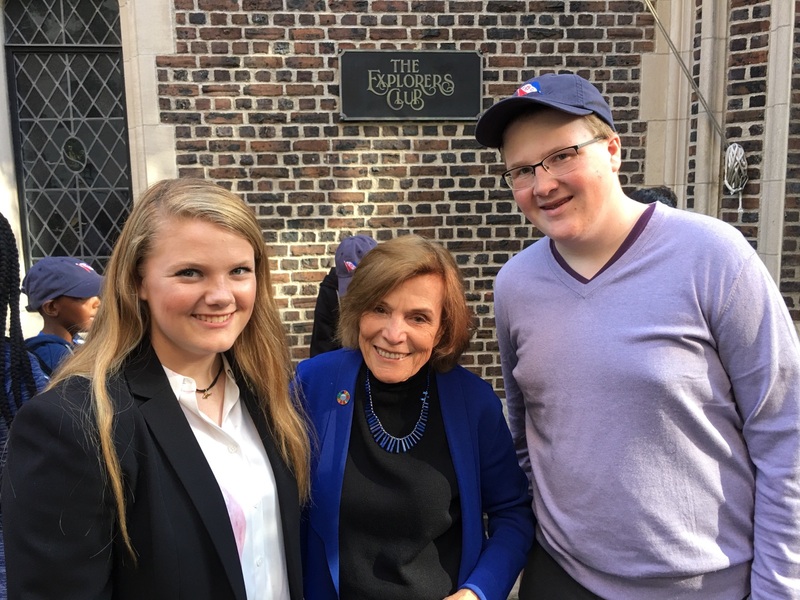 Her frequent family trips to the ocean inspired Ms. Reynolds to create this project at a young age with the goal of educating the public on climate change and its threats to our future. 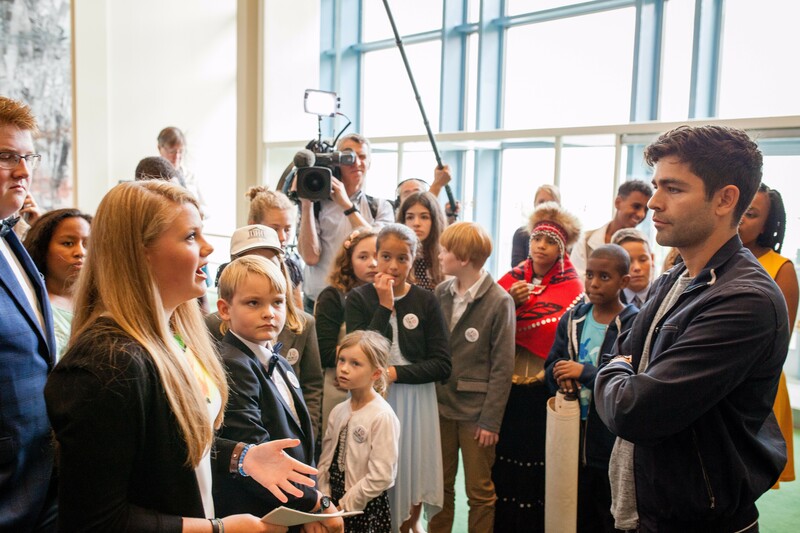 She is actively speaking out about climate change through her web site blog, talks at schools, and media interviews. 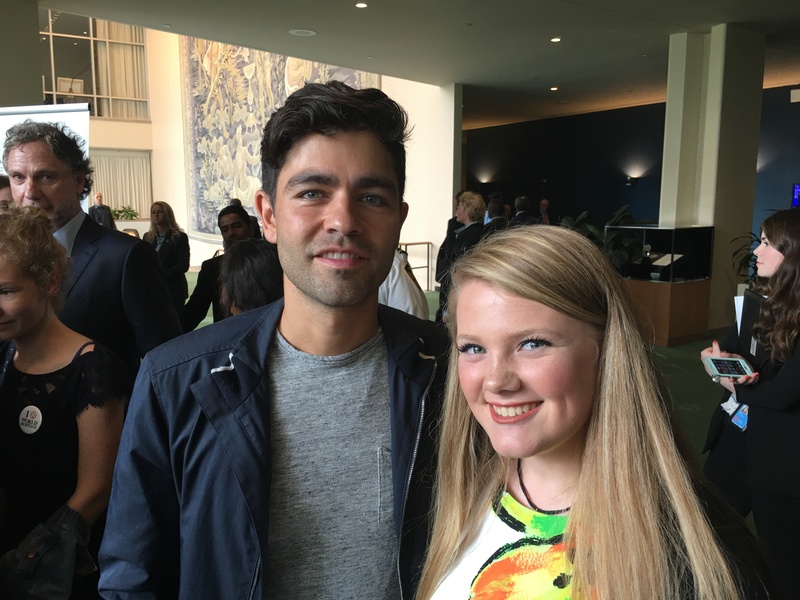 A New Generation of Environmental Promotion: Who is Delaney Reynolds? 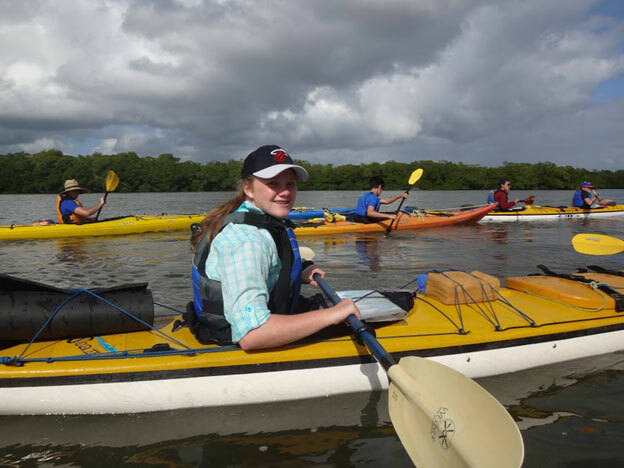 With the future looking brighter thanks to Palmer Trinity School, one student shines brightly for her efforts to educate her peers on the importance of sea rise and global warming. 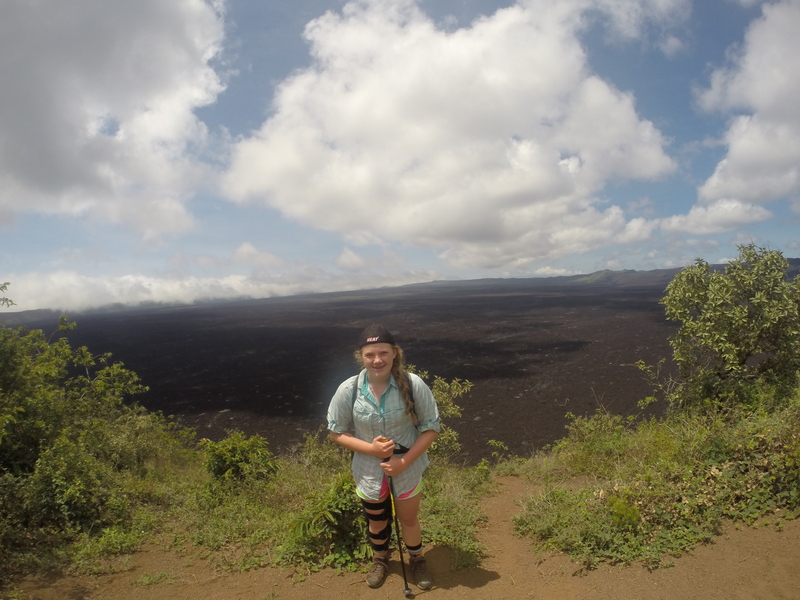 This student is Delaney Reynolds, who has achieved much in the field of environmental protection, and has been featured for her previous achievements earlier this year. 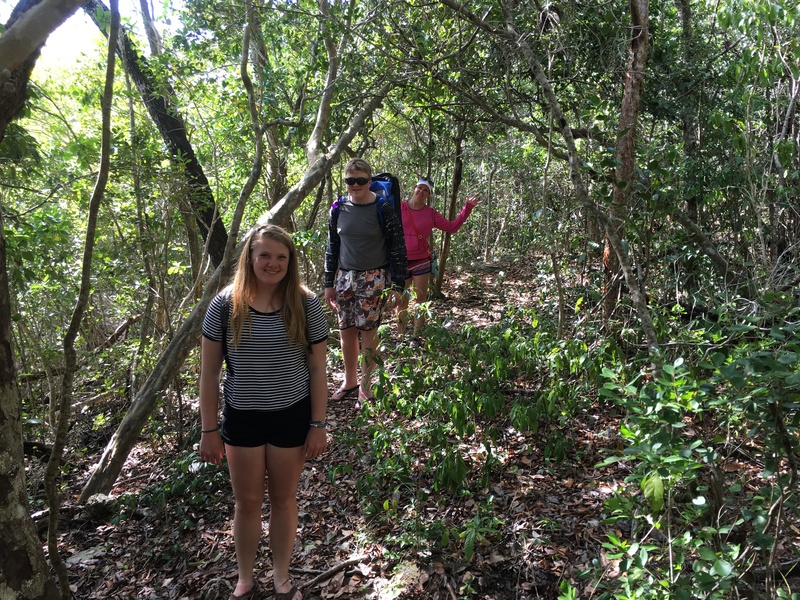 “We are so proud of Delaney and her hard work in not only shining a light on the environment, but mentoring younger students and informing them about this important topic.”- Patrick Roberts, Head of School , Palmer Trinity. Delaney is one of fifteen appointed to the council and will be serving a two-year term. 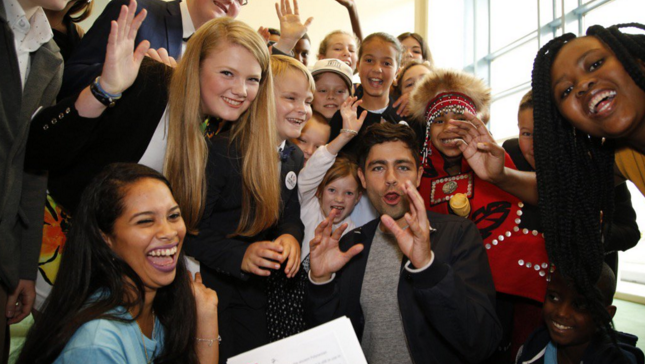 Council members range from 15-22 years old, and were selected from across the country. 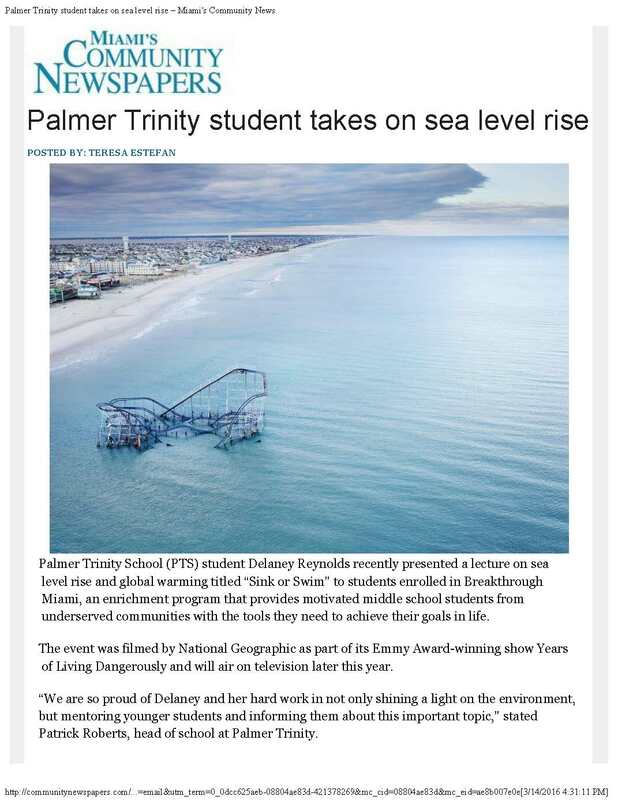 Delaney was encouraged to apply for the position by Leopoldo Llinas, a science teacher and director of environmental stewardship at Palmer Trinity School. 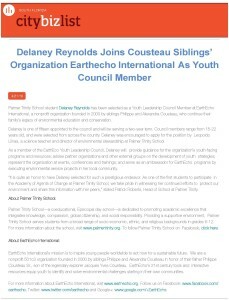 As a member of the EarthEco Youth Leadership Council, Delaney will: provide guidance for the organization’s youth-facing programs and resources; advise partner organizations and other external groups on the development of youth strategies; represent the organization at events, conferences and trainings; and serve as an ambassador for EarthEcho programs by executing environmental service projects in her local community. Pinecrest resident Robert Reynolds remembers taking his family for a boat ride to the Florida Keys. 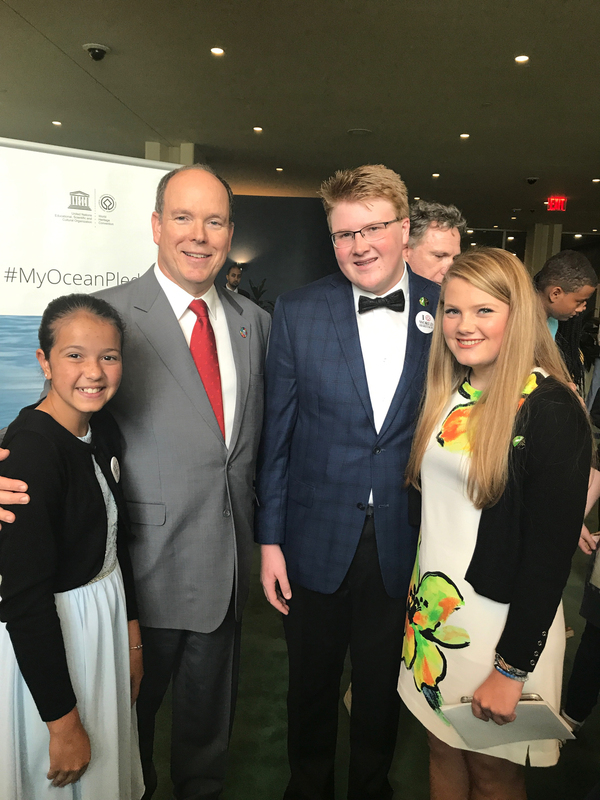 The trips to the ocean inspired his 16-year-old daughter, Palmer Trinity student Delaney Reynolds, to orchestrate an initiative with the goal of educating the public on climate change. Delaney, an 11th-grader, designed “The Sink or Swim Project,” which informs and engages all ages on rising sea levels. Her project has picked up so much steam that National Geographic recently recorded one of her presentations. 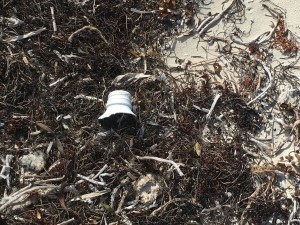 The taping will be part of the show Years of Living Dangerously, which will air later this year. 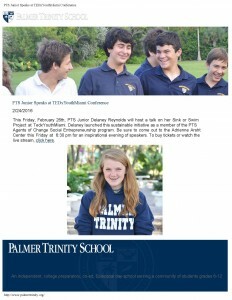 Palmer Trinity School (PTS) student Delaney Reynolds recently presented a lecture on sea level rise and global warming titled “Sink or Swim” to students enrolled in Breakthrough Miami, an enrichment program that provides motivated middle school students from underserved communities with the tools they need to achieve their goals in life. The event was filmed by National Geographic as part of its Emmy Award-winning show Years of Living Dangerously and will air on television later this year. 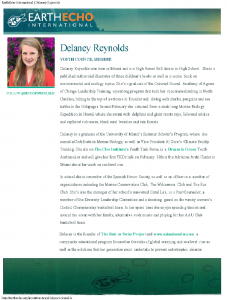 Delaney Reynolds was born in Miami and is a High Honor Roll Junior in High School. 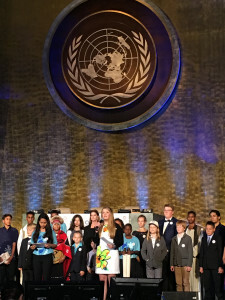 She is a published author and illustrator of three children’s books as well as a comic book on environmental and ecology topics. 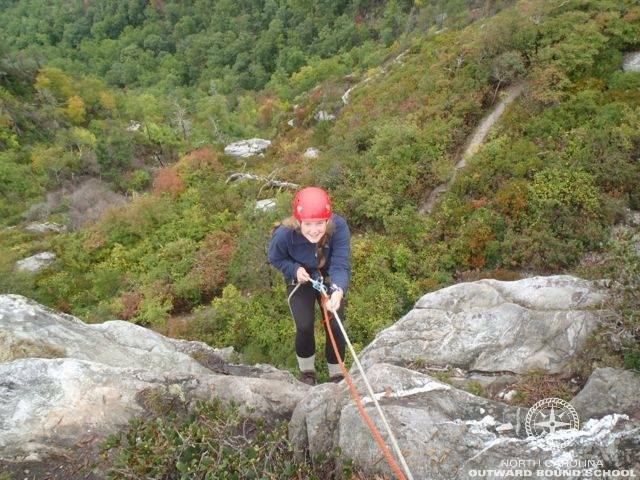 She’s a graduate of the Outward Bound Academy of Agents of Change Leadership Training, a yearlong program that took her mountain climbing in North Carolina, hiking to the top of a volcano in Ecuador and diving with sharks, penguins and sea turtles in the Galapagos. 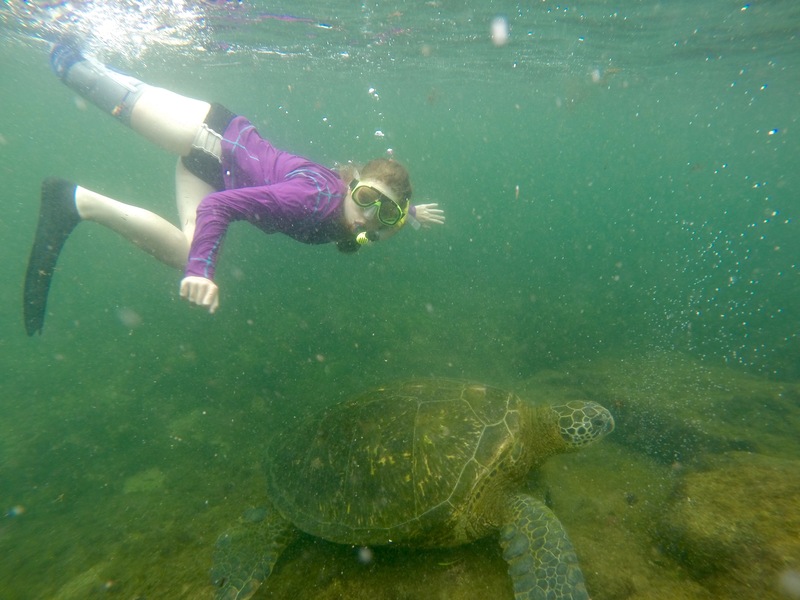 In mid-February she returned from a week long Marine Biology Expedition in Hawaii where she swam with dolphins and giant manta rays, followed whales and explored volcanoes, black sand beaches and rain forests. 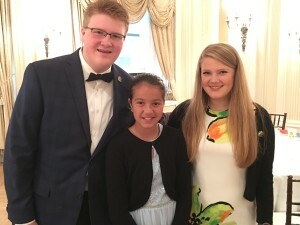 CAVU had the opportunity to speak with and conduct a first on-camera interview with a young woman who has accomplished more in her 16 years than most adults. 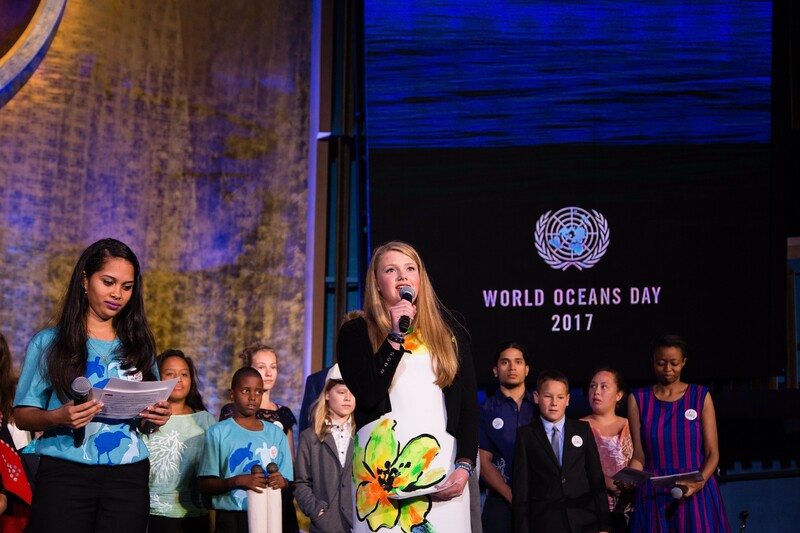 Delaney Reynolds of Miami Florida is the founder of an organization called Sink or Swim which looks at the varied threats of sea level rise and other environmental issues she views as impacting her life and future. 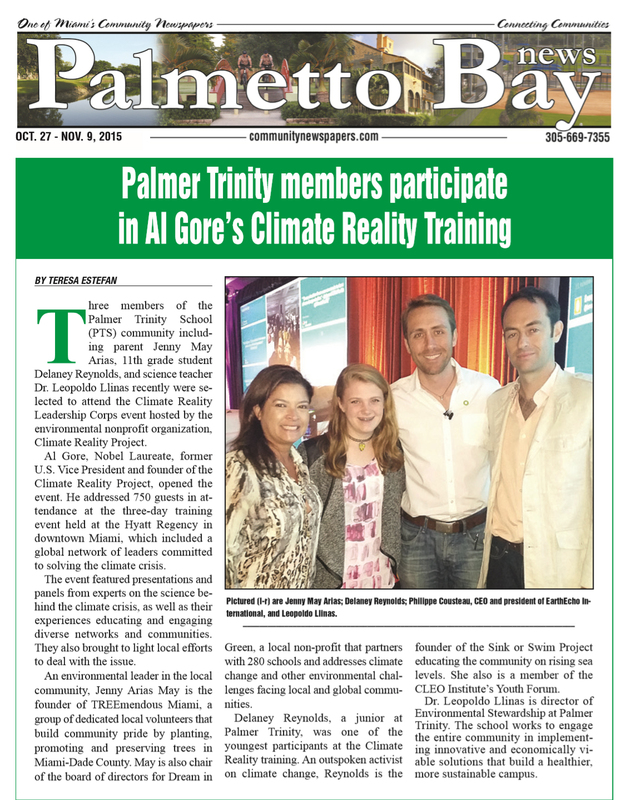 Three members of the Palmer Trinity School (PTS) community including parent Jenny May Arias, 11th grade student Delaney Reynolds, and science teacher Dr. Leopoldo Llinas recently were selected to attend the Climate Reality Leadership Corps event hosted by the environmental nonprofit organization, Climate Reality Project. 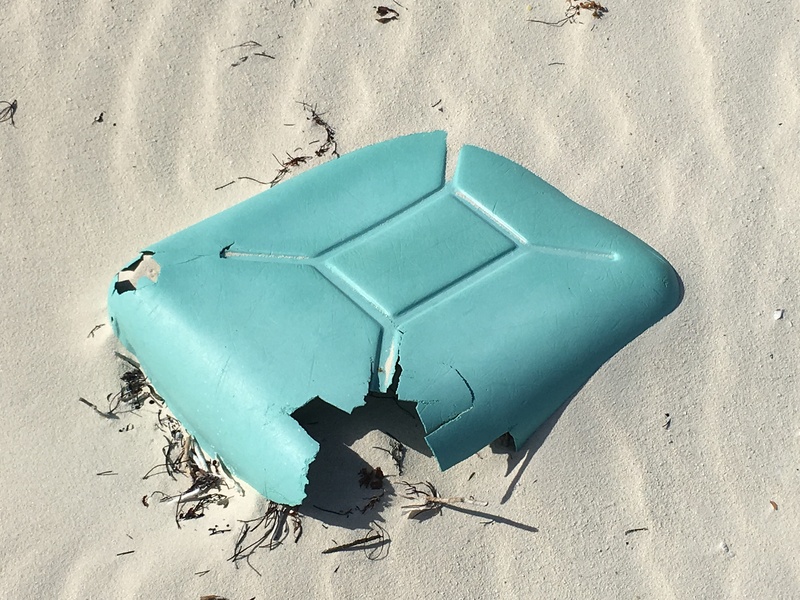 The Sink or Swim Project is designed to educate, inform and engage the generations, both young people alive today and those who are about to be born, who will inherit sea level rise and who must work together to solve it. Many people dream about writing or illustrating and publishing a book in their life time, but few accomplish that goal. 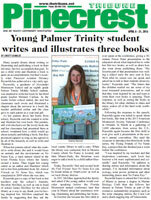 To see a child write and illustrate a book is quite an accomplishment, but that’s exactly what Pinecrest resident Delaney Reynolds has achieved at a very early age. 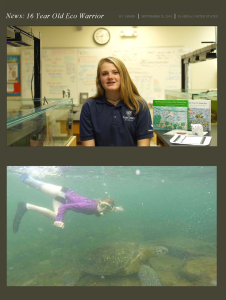 PTS Junior Delaney Reynolds hosted a talk on her Sink or Swim Project at TEDxYouth@Miami on Friday, February 26th, 2016. Delaney launched this sustainable initiative as a member of the PTS Agents of Change Social Entrepreneurship program. 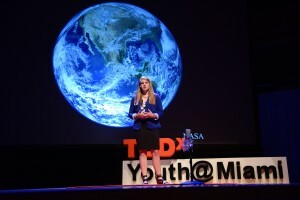 The TEDxYouth@Miami event took place at the Adrienne Arsht Center for the Performing Arts.